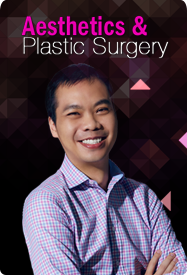 Dr Colin Tham is a plastic surgeon in private practice. He obtained his Bachelor of Medicine and Surgery from the University of Aberdeen, Scotland in 1992. He proceeded with his basic and advanced specialty training in plastic surgery with the Singapore General Hospital and was admitted as a Fellow of the Royal College of Surgeons (Ireland) in 1999. 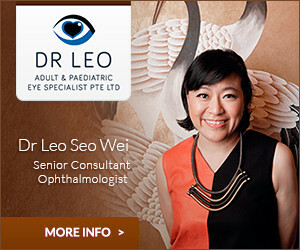 He is also a Fellow of the Academy of Medicine (Singapore). He holds the concurrent posts of Honorary Secretary to the Singapore Association of Plastic Surgeons and the Singapore Society of Cosmetic (Aesthetic) Surgeons. Dr Tham left the public sector in 2006 to join Asia HealthPartners, where he is currently the Director of the Aesthetics Division. He continues to hone his craft on the cutting edge of both cosmetic surgery and non-invasive aesthetic procedures. He has special interest in eyelid surgery, breast enhancement and hi-definition liposculpture.